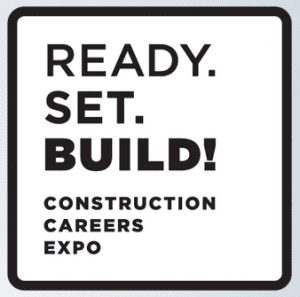 Quicken Loans related Bedrock Detroit and one of Detroit’s biggest construction contracting companies Barton Malow is putting together a career fair titled Ready. Set. Build! this November 14th. Taking place at Cobo Center from 8:30 AM to 4:00 PM. READY. SET. BUILD! is an informational workforce expo that showcases the skilled trades throughout the construction industry. Job seekers will learn about the various trades through hands-on demonstrations and video presentations. Attendees will also meet union apprenticeship school directors and interact with contractors to learn the process for entering the construction industry. The Expo will provide information about job opportunities available during the construction of Bedrock developments including: the Hudson’s Site, Wayne County Criminal Justice Center and Monroe Blocks projects. There will also be workforce training and community support partners onsite to help residents overcome barriers that may limit entry into the skilled trades. Direct Link to register for the event (it is highly recommended). Official website for Ready. Set. Build!